Are you looking to convert your level 5 business qualification into a full top-up degree in business? If you already have an HND or a foundation degree in business, you can achieve an honours degree in business and management with just one more year of study. Bath Spa University is a well-respected higher education institution based in the south-west of England. It has a reputation for its creative curriculum and high student satisfaction. Thanks to a new partnership between UKCBC and Bath Spa University, you can now study a Business Management Top-up Degree from several locations in London. Contact our Course Advisors or see below for more information. 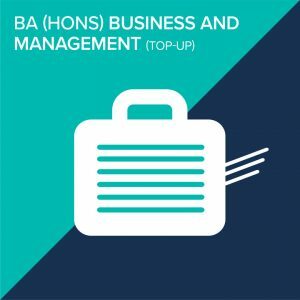 Why Opt for a Business Management Top-up Degree in London? The practical focus of the HND course has provided students with a strong foundation of skills in and knowledge of the business environment. This one-year business degree top-up course extends this foundation, enabling application of skills in the private or public sector, charity or voluntary organisations or your own business. During the Business Top-up Degree, you will explore business ventures, develop your learning and focus on the role of management, undertaking an in-depth business research project in your specialist area. During the Top-up Degree in Business Management in London, you’ll be assessed in a wide range of ways that will test your business knowledge and management skills. These include presentations, work related projects, group-work, computer-based simulations, examinations, essays and business reports. Support and teaching are provided in UKCBC’s unique style through dedicated and experienced lecturers in the classroom, along with the academic support team in the campus. The modules will be delivered through a mix of lectures, group seminars and tutorials, including industry visits and guest lectures. Throughout the year, UKCBC will continue to support you in becoming an independent and confident learner. The Top-up Degree in Business Management will build on many of the skills and theories students will have learnt during their HND. It will also support the development of applying academic theories to real-world events, leading to credible solutions and recommendations. UKCBC and Bath Spa University highlight the importance placed on thinking independently and confidently when students face the academic challenges of the top-up degree. Students who are non-native English speakers or who have not studied their entry qualification in English must demonstrate capability in English at a standard equivalent to: IELTS 6.0, with a minimum of 5.5 being awarded on individual sections. *£6,000 per-year tuition fee applicable for HND and top-up degree courses from the September 2018/2019 intake onward.